The proposed deck in front of the door wall will be a structural slab with access to crawl space underneath. 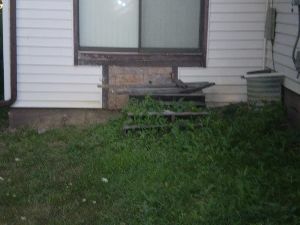 Then we will step down from the deck and on to the concrete patio. 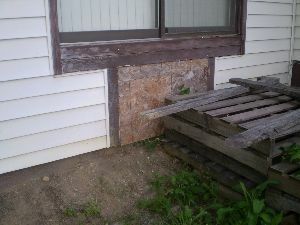 The deck is less than 2ft 6 inches above existing grade around the deck. So, the contractor will look into whether a Guard Rail should be added over the deck. 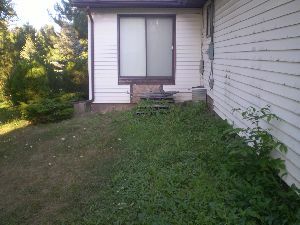 Here are some pictures of the house. In the next post I will show you a design sketch for the concrete deck and the patio.